Star Wars Ep VII Is A Wrap! Home » Sequel Stuff » Star Wars Ep VII Is A Wrap! 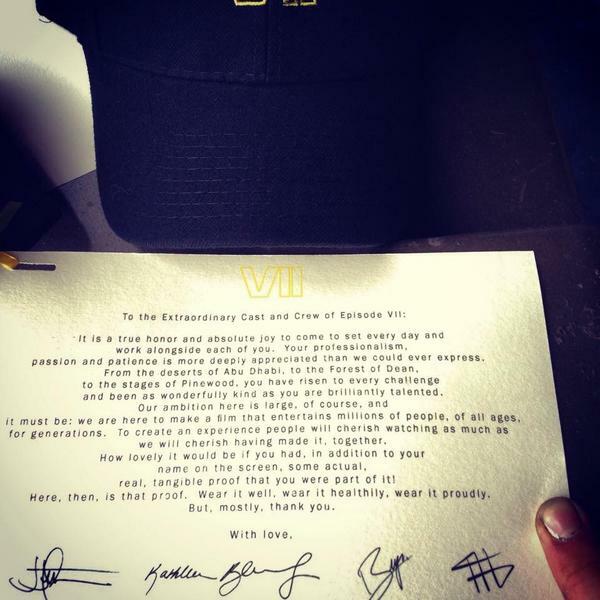 Earlier today director J.J.Abrams announced that principal photography on the set of Star Wars VII had officially wrapped and during the production’s wrap party the cast and crew were handed this special note from Abrams himself.